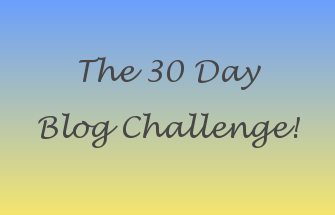 Hello and welcome to Day 30 of the 30 Day Blog Challenge and today I am talking about a vivid memory. I thought long and hard about this one and decided to recall how I met the man who is now my husband. At the time we met (11 years ago) I had not long moved back to live with my parents in Solihull having spent the previous nine years in Chester and found myself newly single and a bit bewildered by life in general! By chance I met a lovely girl called Rachel who worked in the same office as me and it turned out that she had gone to the same school as I did but two years above and knew loads of the same people and we became good friends. She had recently met someone and had a whirlwind romance and was planning a hen night and invited me to come along. We ended up at a place which in those days was called The Barley Mow (if you are mid to late thirties and from Solihull you know where I am referring to!!) it was quite a cheesy place but great if you wanted a boogie and a laugh. I saw these three chaps come in and head to the bar but thought no more about it and set about enjoying my night drinking and dancing totally unaware that someone was watching me from afar! A bit later on I felt a tap on my shoulder and turned round to find one of the three chaps that I had seen earlier asking me if I wanted to dance! Now according to my husband I quickly looked him up and down (I don't remember doing that!!) and agreed to a dance! Just as we got on the dance floor Abba came and awkward dancing ensued so we decided to grab a drink instead. I have the worst bladder in the world which is made worse by alcohol and by this point I had drunk a fair amount so kept having to go to the loo and everytime there was a huge queue so hubby thought I had deserted him!!! It was one of those strange moments when you totally click with someone and we spent the rest of night chatting and snogging! I liked him so much that we arranged to meet the following night for a drink and by the following Sunday we went out for the day to Stratford and on the way home I suddenly realised I had fallen in love with him! So here we are 11 years on and now married and we haven't been without ups and downs but we are still going strong and looking forward to our first wedding anniversary and many more after that! 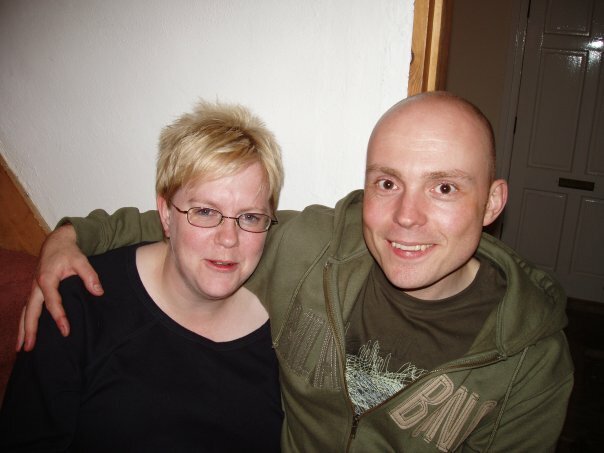 Here we are circa 2004! I hope you have all enjoyed the 30 day challenge hopefully it has given you an insight into my life and been fun to read! Don't forget to check out the other ladies.